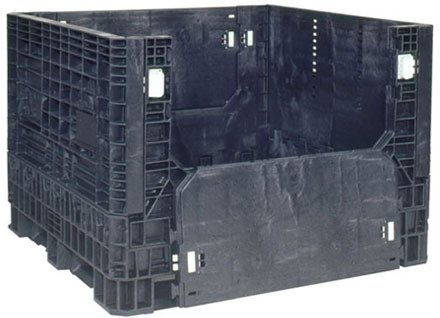 AIC offers a comprehensive range of plastic pallets, collapsible pallet boxes, liquid boxes and other material handling solutions to purchase or rent. If you are interested in renting please don't hesitate to contact us. Do you require a special materials handling solution? Our experience and know-how combined with our partners' technology and innovative drive, allow us to design and inject tailor made solutions for even the largest industrial applications. With the help of our business partners, world leaders in manufacturing materials handling products, commitment and state-of-the-art technology, we are able to satisfy our customers' highest demands for quality in all industrial sectors. AIC Plastic Pallets is the leading supplier of plastic materials handling products in Ireland since 1994. 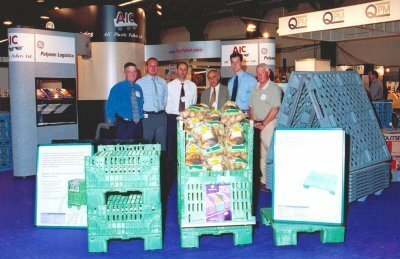 AIC is a division of ETP, an expert in materials handling solutions since 1965. AIC was formed in 1994, initially in response to a growing demand for alternatives to wooden transport platforms, particularly in the hygiene area. AIC now regularly deals with a huge range of customers, delivering over 2000 units per week to businesses that use AIC Materials Handling Solutions in a wide variety of industry sectors. 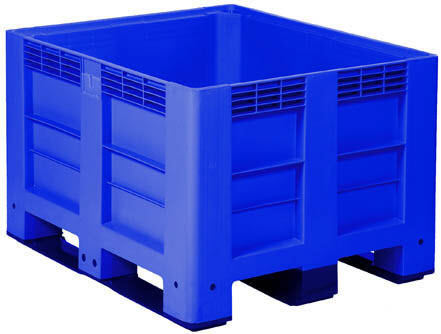 As AIC has developed, so has its range of products and services which now includes a full variety of plastic and wooden pallets, boxes and liquid containers to purchase or rent. As an independent seller of Plastic Pallets, we are able to offer a full range of Plastic Pallets from many manufacturers - offering our clients greater choice. Within our selection of products there is a materials handling solution to meet the requirements of every distribution and manufacturing application. AIC can also provide return logistics management advice. Our objective is the satisfied customer who can rely on our products and our performance. This web site is a truly comprehensive guide to purchasing Plastic Pallets. If you have any comments, or would like to see any additional information please contact us. 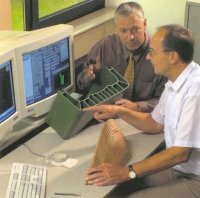 We have been making materials handling products for industry since 1965. AIC's product development history has always been guided by a simple philosophy: supply products with advantages for our customers. We constantly research new models, and plastic technology, updating our range, which covers every type of plastic pallet, from lightweight single use pallets, to heavyweight pallets, in recycled, regenerated, and virgin materials. Each pallet has been selected for its combination of quality, durability and cost effectiveness. Together with our business partners and as a result of observing current market-trends we are in a permanent process of developing new transportation platform products and systems. 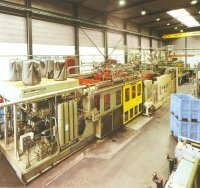 We create the technical concepts, which take shape in the hands of our partners' construction teams, and their tool construction provides the necessary moulds and forms. 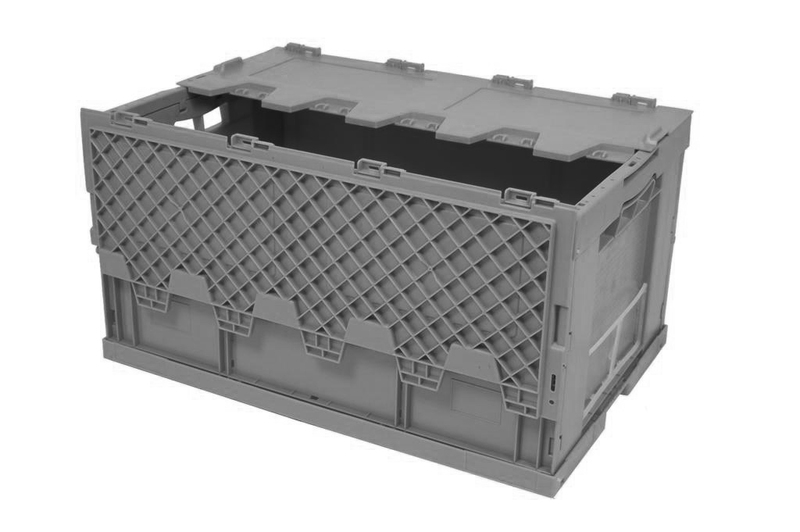 Combining a wealth of experience gained from designing and manufacturing transport platforms for the pharmaceutical and food industry with that from our other markets, which include the electronics, packaging, beverage, and dairy industries, AIC has with its trading partners, focused its design and their manufacturing talents on a new range of materials handling products including returnable plastic pallets and returnable plastic boxes. A look at AIC's growing line of transport platforms proves how their philosophy is being practiced today. AIC offers a comprehensive range of plastic pallets, collapsible pallet boxes, liquid boxes and other materials handling solutions to purchase or rent. Carbon Conductive Pallets are made from specially formulated plastic materials to give the desired anti-static effect. 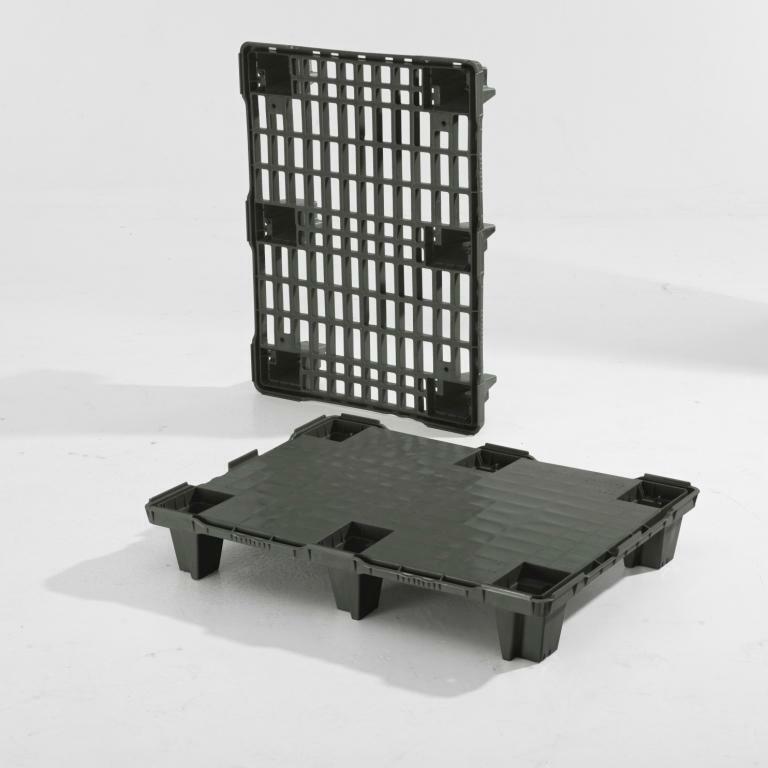 Only a plastic pallet with conductive properties presents the ideal complement to conductive crates and is able to protect components from being affected by electro-static charge and electric fields. Carbon Conductive Pallets are ideal for use in automotive or electronics industries. The Carbon Conductive Pallet is designed to meet the special demands of these industries also taking into consideration the requirements of their suppliers with regard to a refined logistic system. 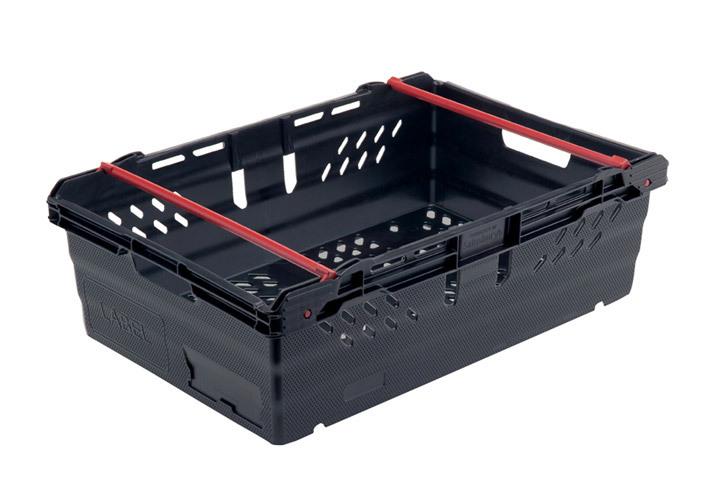 The CR1 is the first plastic pallet in serial production equipped with 2 transponders (13,56 MHz), offering new scope for intelligent logistics and process-optimization in the handling of pallets and goods. We are now able to supply customers with the all-in-one solution, from the load-carrier plus transponder right through to the full installation of a completely integrated system. The high quality standard of our products provides the firm basis for our company's successful long-term development, and therefore the basis for satisfied customers. As every pallet application is unique, it is difficult to provide definitive rules as to which style of pallet is most appropriate. However, the following guidelines are intended as a basic guide. This information is not comprehensive, but is intended to highlight the key differences between the main styles of plastic pallets which are available - If you would like us to recommend pallets for your application please complete the questionnaire at recommendations. They generally offer low loading capacities, at low prices. Ideally suited to air freight, export, one way consignments, and floor standing storage. Not suitable for pallet racking. As above - but with some limited use on pallet racking. Clip on runners/skids are available as an addition to some nestable pallets, and when fitted add to the overall strength of the pallet thus allowing limited use on racking. Generally offer, higher loading capacities, at mid range prices. Ideally suited to air freight, export, one way consignments, and floor standing storage. Not suitable for pallet racking. The top deck of some plastic pallets are mounted on three runners, which run in the direction of the longest side. 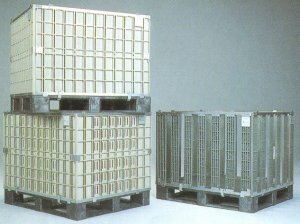 These runners are moulded as part of the pallet, and addition of the runners creates a stronger pallet than the basic nestable design. 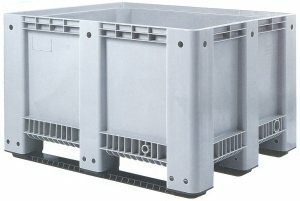 With permanent runners, these pallets offer increased loading capacities, at mid range prices, but with higher net weights. 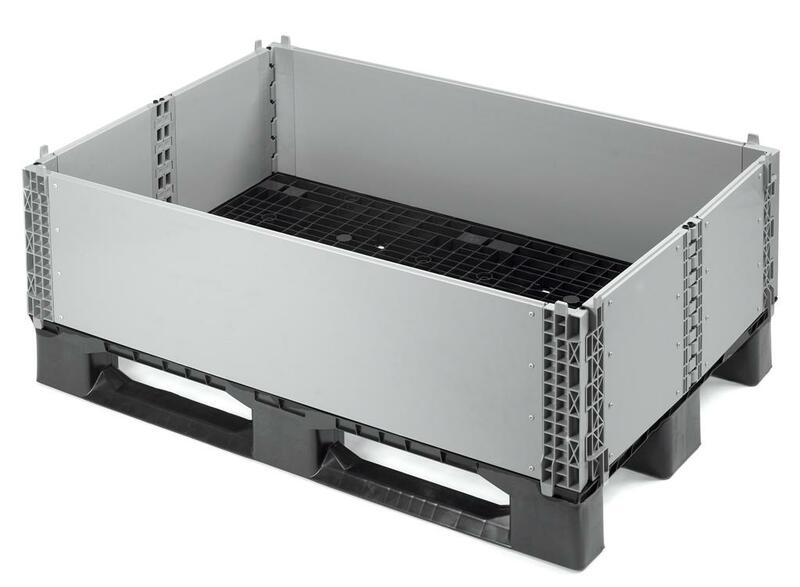 A universal midrange pallet, suitable for many applications, and in "closed loop" environments will provide many years service. Suitable for racking in one direction, as the runners are always on the long side (within loading capacities). 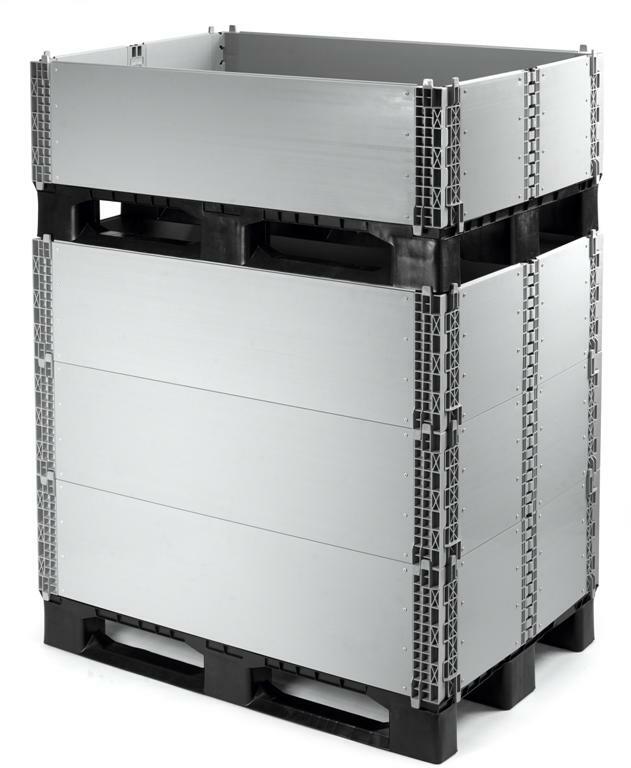 Bi-directional racking flexibility, provided by the full perimeter base, plus increased loading capacities, makes these pallets highly suitable for all-round applications in any distribution environment. Excellent life expectancy in "closed loop" scenarios. 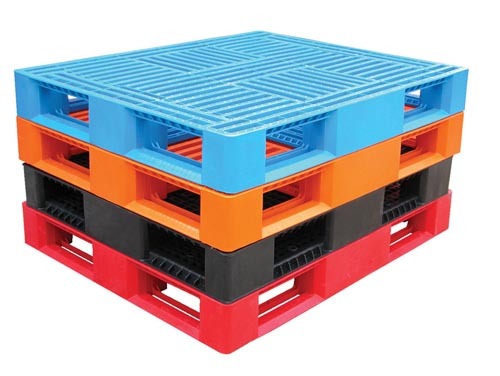 Whilst all styles of plastic pallets are suitable for use in hygienic areas, for the food and pharmaceutical industries, the construction of true hygienic pallets produces a 100% smooth structure - which can be easily cleaned, and has no spaces or gaps where deposits or bacteria germs can build up. These pallets are at the top of the price range. Electrostatic Discharge (ESD) compatible pallets or carbon conductive pallets are made from specially formulated plastic materials to give the desired anti-static effect. 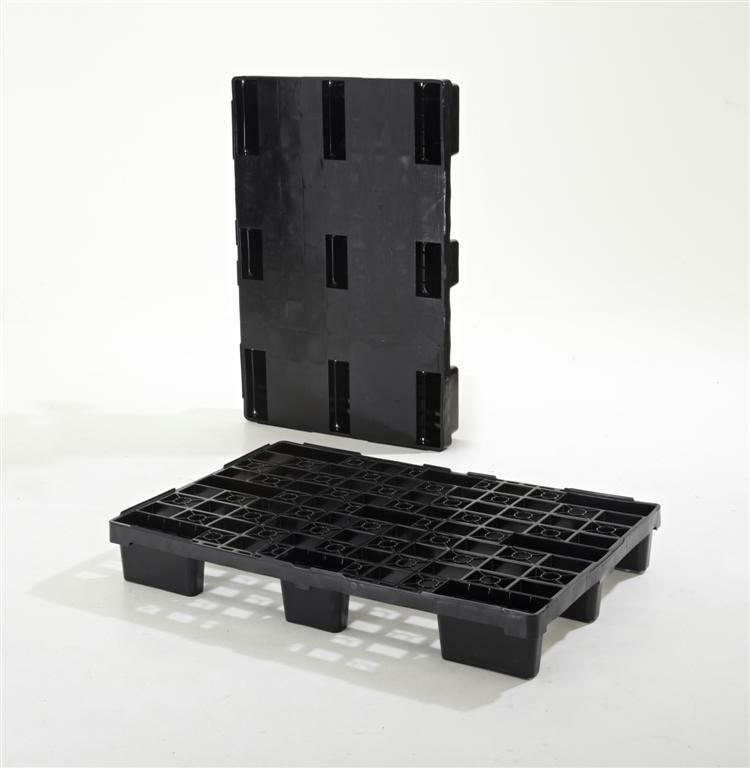 Only a plastic pallet with conductive properties presents the ideal complement to conductive crates and is able to protect components from being affected by electro-static charge and electric fields.